Today Ruth Hogan is sharing with us one of her beloved curiosities.. A Lonesome Panda. Since starting my novel I have become the proud owner of a large collection of single gloves. 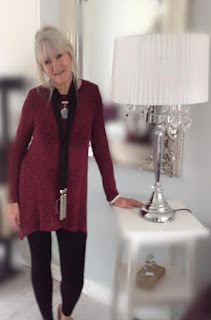 It has convinced of the need to resurrect that simple but effect device used by most mothers of school children when I was at school – gloves attached to either end of a long piece of wool threaded down each sleeve of your coat. I never lost a single glove! 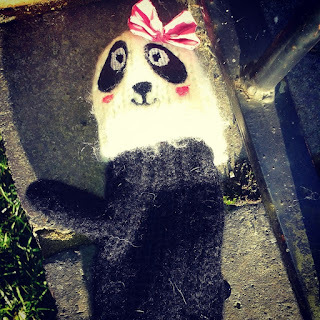 This little panda has such a cheerful face and I found her on yet another dog walk next to some iron railings. A lovely romance that challenged my thoughts on tarot cards, mediums, spirits and self-help guides. By challenged I mean, i had to put a lot of my own scepticism aside in order to try and enjoy this book fully, as they are just subjects I'm not convinced about. In between the subject matter that I don't always believe in, there is a good story, written from three points of view, and it was always clear which character you were with, as their name appears on a separate page turn, before the next chapter heading, so there should be no excuse for confusion. There is Kristi who is a famous lifestyle coach, who is on the verge of a breakdown and is scared that the public will discover the truth about her own not so perfect life, so is taking a sabbatical to try and solve that problem, while writing a new book. Tom is Kristi's best friend and back up plan, he lives in a cabin in Forest Dean, and is a tortured artist. He and Kristi have known each other since childhood, and they are in a sort of relationship. Then there is Patrick, who is a tarot card reader, and psychic medium and seems to be drawn into Kristi's life by a higher power. Due to my own beliefs I was not convinced by a lot of what Patrick had to say about the spirit world, but understand that many people love this sort of thing, and will enjoy everything about Patrick. A lot of his talk about the spirit world seemed accurate based on my vaguest understanding of it, I'm just not a believer! This is a story of self discovery, not just for Kristi but also for the two gentlemen in her life, they are all going through big changes, and its interesting to see how the characters develop over the course of the book. I also loved Kristi's fledgling friendship with her cleaner Eve. Eve has a lot of her own troubles, but seemed to have a heart of gold, and I really enjoyed reading her interactions with Kristi. 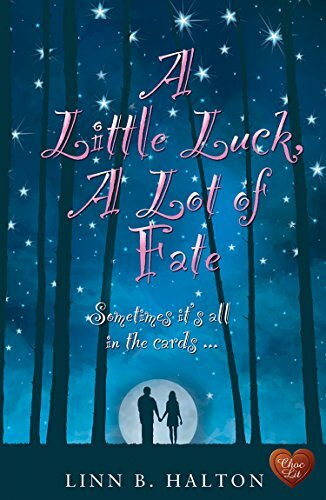 I found A Little Luck, A Lot of Fate to be an enjoyable story, one that in places really held my interest, and the main times my enjoyment dropped were nothing to do with the book, but to do with me. The romance elements were done really well, and I also loved the journey that Kristi went on. Thank you to Choc Lit and Netgalley for this copy of the book which I have reviewed honestly and voluntarily. "I'm a hopeless romantic, self-confessed chocaholic, and lover of strong coffee. For me, life is about family, friends, writing ... and house renovation! Oh, and the occasional glass of White Grenache..."
An Amazon UK Top 100 best-selling author with A Cottage in the Country in November 2015, Under The Stars also became a best-seller in November 2016. 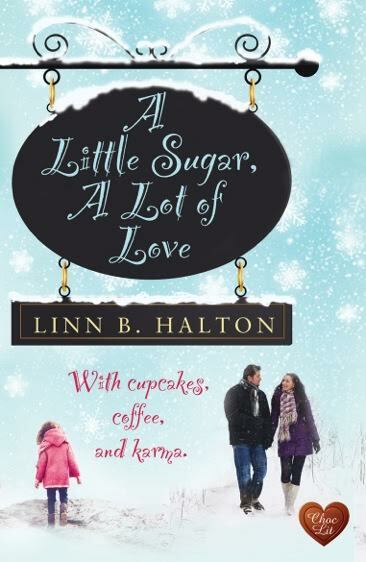 Linn's novels have been short-listed in the UK's Festival of Romance and the eFestival of Words Book Awards. 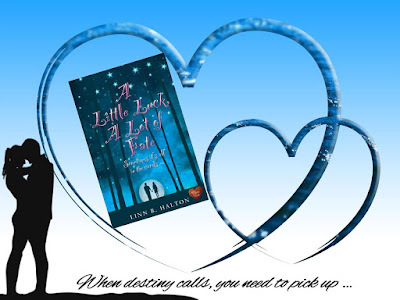 Linn won the 2013 UK Festival of Romance: Innovation in Romantic Fiction award. The Other Sister has hidden depths to it, which completely took me by surprise. I could tell the story was leading up to something, and there had to be a reason why Willow and Holly, identical twins, seemed to be so different, but I just wasn't expecting what was revealed. Willow on the whole doesn't tend to like people, she likes her sister and her best friend, but generally doesn't want to spend her days with anyone else. She lives alone, and has a job in a talent agency and has an ex husband plus ex-stepdaughter. Over the course of just a few days Willow ends up sharing her house with a famous actress that is a client of the agency, needing a bolthole to lay low, and her ex-step daughter is suddenly back in her life too. What is seemingly the trigger of this is one day when Willow was heading back to the office, she accidently took a wrong turn, and found a shop that had the most magnificent pair of shoes in stock. Whether you believe it or not, these shoes, plus some of the other things in this shop appear to have magical qualities, or at the very least life altering consequences, and from that moment Willow is suddenly more open to people than she has been for years, more attractive to men than she has been for a long time, and generally is liking her own reflection a lot more. I loved the scenes involving Willow, India the actress and Chloe (the stepdaughter), and there are some great moments between the three of them. The trip to Hamleys brought a huge smile to my face as well as reminders of my own childhood. As I have said there is far more to this story than I want to say, mainly as its far more fun to discover everything for yourself. What I will say is from the start I was interested in Willow's story, and as more threads and characters were introduced, I felt more and more involved and just wanted to help Willow change to become a more rounded person. I've read quite a few of Rowan Coleman's books now, and I really enjoyed this one, it may not become a new favourite, but its still a lovely piece of writing, with warm hearted humour, as well as some far more serious subject matter too. Thank you so much to Netgalley and Ebury Press for this copy of the book which I have reviewed honestly. Thank you to everyone that voted for The Other Sister this week. 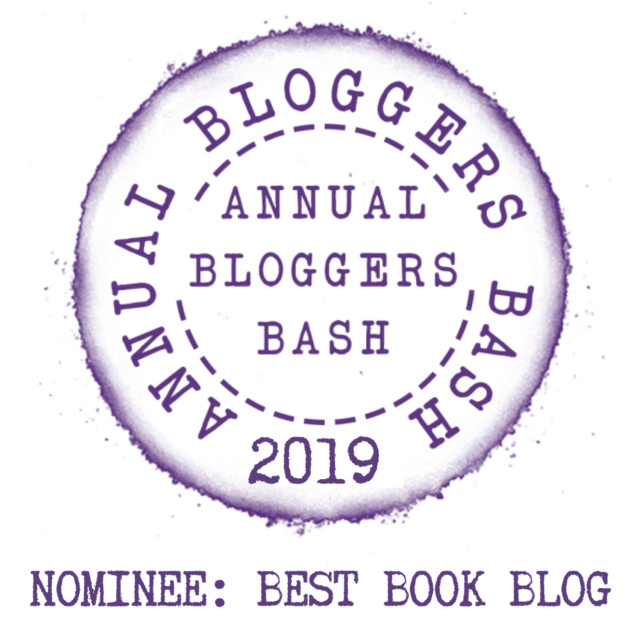 You managed to pick the one review book that was in the selection, which is rather helpful, as it fell into my backlog of review books, especially as it was released while I was deep into Christmas reading season! I'm very glad that I've finally read it and look forward to seeing what paperback I will be reading courtesy of this weeks vote. 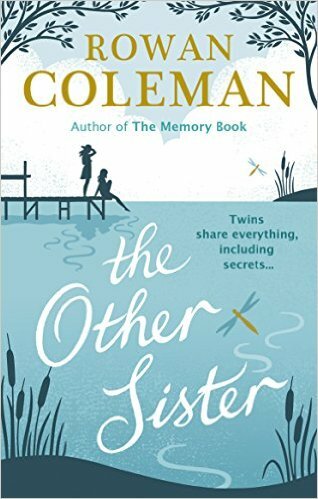 Definitely a runaway winner last week with The Other Sister by Rowan Coleman which I really enjoyed. Was a bit surprised at the lack of votes for the two psychological thrillers, as I honestly thought they would be a lot more popular. For those of you that read my Welcome to 2017 post, I have basically decided I need to actively make an effort to read more of my unread paperbacks this year, and to that extent every other week on this, we will be randomising from my paperbacks, as you may get me to read those I've forgotten I even own! I am using my power of veto on 47 - The Returning Tide by Liz Fenwick purely because it seems a bit to soon to be reviewing an end of March release. 3 - Sworn Secret by Amanda Jennings - Never read anything by this author, but keep hearing good things about her, and feel I should give this a try at some point. 78 - One Kiss in Paris by Various - This is 3 books in one, a Mills & Boon compilation. Have fun! I have absolutely no real inkling what way this selection will go, there is definitely a bit of variety in there. I look forward to and encourage comments on this, as I don't know that much about quite a few of the books. 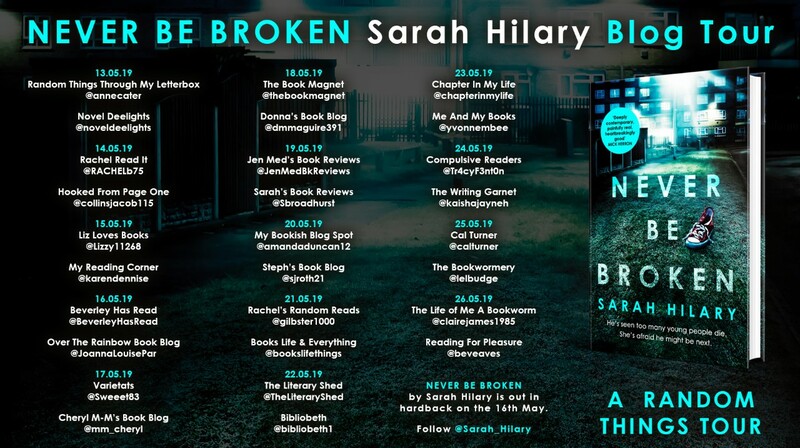 And don't forget if in doubt I'm trying to read books set in the various UK Counties this year, in addition to paperbacks. Two birds with one stone would always be a pleasing result! 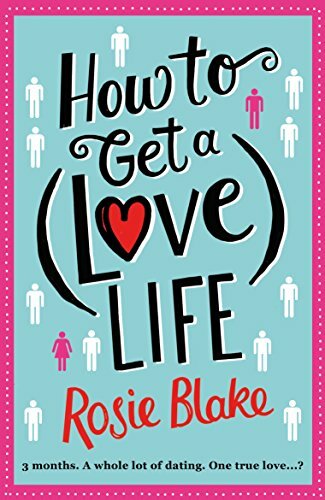 How to Get a (Love) Life was Rosie Blake's debut novel and is now coming out in paperback on the 2nd February. Nicola Brown doesn't like to lose control. Her flat is always meticulously tidy and her weekly meals carefully planned; Nicola keeps her life in order. When her carefree colleague Caroline challenges Nicola to find a date for Valentine's Day, it's a surprise to them both when Nicola agrees. How to Get a (Love) Life is a highly amusing story about one girl and her attempts at dating. Nicola is at the start of the story an incredibly regimented person, she is slightly OCD, has a habit of eating the same food the same day each week, and even waits until a certain time of her lunch break to eat a sweet treat. Her life seems to be in a bit of a rut, but she isn't completely sure she needs to change. Her colleague Caroline dares Nicola to have a date by Valentines Day which is four months away. Nicola agrees which is rather surprising and from that her life slowly changes. There are some absolutely hilarious dates which Nicola is set up on, my favourite of which involved Kayaking in the sea, in November! While Nicola is trying to see if she can find anyone she would even like a second date with, her brother keeps coming round too, and has his own romance problems. Her brother is absolutely bat mad, and seems to be fairly socially inept. He has his own specific way of looking at things, and even comes up with a plan to win the girl he loves, including graphic stick figure drawings! I loved seeing the lengths Nicola was willing to go to, just to try and win a dare. You get the first hint as to her whole mindset in the prologue, while the majority of the book is leading up to that point in time. Amongst the ways she tries to meet men is going to a driving range, and taking up a carpentry class. Add in a whole bunch of unreliable and dodgy men, and you have the general idea of her current attempts at dating! I found as the book went on, I was liking Nicola more and more, as her personality opened up a bit, and her brother grew on me too. I also was loving both Caroline and James who she works with, and in fact the whole entire nutty office environment she was working in. This was Rosie Blake's debut novel but yet its the third book of hers that I have read, and with that point of view, I can say that her writing, and storytelling gets better with each release. How to Get a (Love) Life is a very pleasurable debut, and is a book I thoroughly enjoyed. 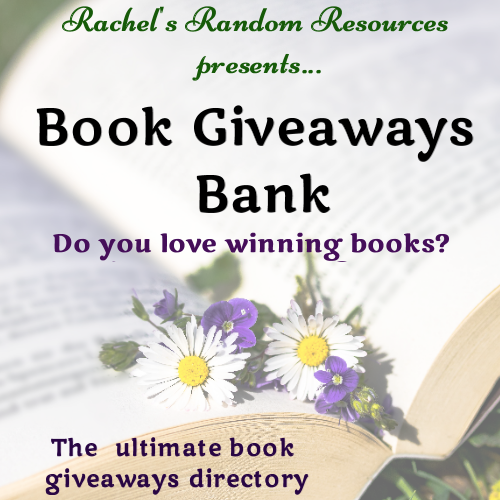 I happen to have a spare copy of the new paperback release of this book, for one lucky winner. Giveaway is open to Europe only (but don't worry there will be more INT giveaways in the future) , all options are voluntary, but please do what they ask, as I will be verifying the winner. Giveaway closes 23:59 6/2/2017. Winner will be announced on twitter and emailed, and they will need to reply within 7 days, or forfeit the prize, and I will re-draw for a new winner. Good luck everyone. 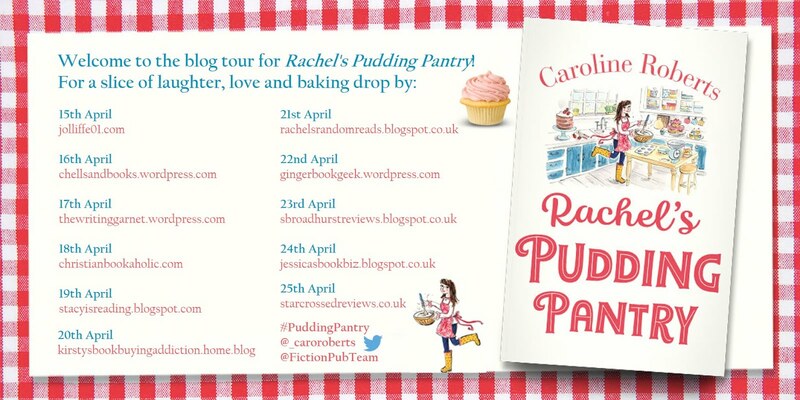 Thank you, Rachel, for having me on your blog. I write contemporary romance with a good sprinkling of humour—"fun-filled fiction with heart". I live in East Yorkshire with my husband and our German Shepherd dog, Tessa. I'm one tenth of blogging group, The Write Romantics, and a full member of the Romantic Novelists' Association. I've published five books and I've also written for The People's Friend. My PF pocket novel is due to be published in large print by Ulverscroft in April. I'm currently working on my sixth novel. I love books, chocolate, and I'm shamefully prone to all-consuming crushes on fictional heroes. When Eliza Jarvis discovers her property show presenter husband, Harry, has been expanding his portfolio with tabloid darling Melody Bird, her perfect life crumbles around her ears. Before you can say Pensioner Barbie, she’s in a stolen car, heading to the North Yorkshire coastal village of Kearton Bay in search of the father she never knew, with only her three-year-old daughter and a family-sized bag of Maltesers for company. 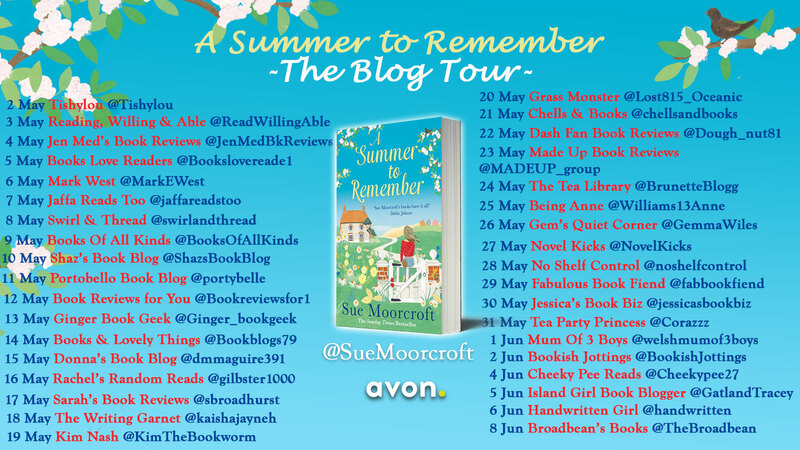 Ignoring the pleas of her uncle, chat show presenter Joe Hollingsworth, Eliza determines to find the man who abandoned her mother and discover the reason he left them to their fate. 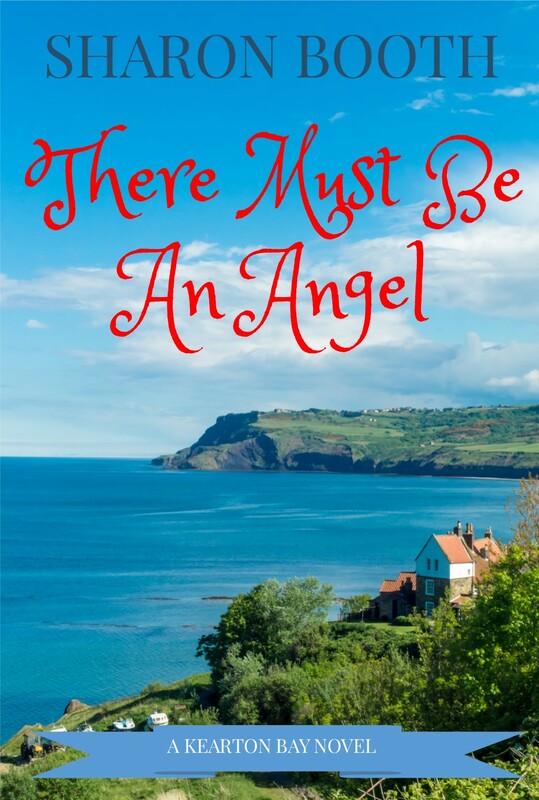 All she has to go on is his name – Raphael – but in such a small place there can’t be more than one angel, can there? Gabriel Bailey may have the name of an angel but he’s not feeling very blessed. In fact, the way his life’s been going he doesn’t see how things can get much worse. Then Eliza arrives with her flash car and designer clothes, reminding him of things he’d rather forget, and he realises that if he’s to have any kind of peace she’s one person he must avoid at all costs. But with the help of beautiful Wiccan landlady, Rhiannon, and quirky pink-haired café owner, Rose, Eliza is soon on the trail of her missing angel, and her investigations lead her straight into Gabriel’s path. 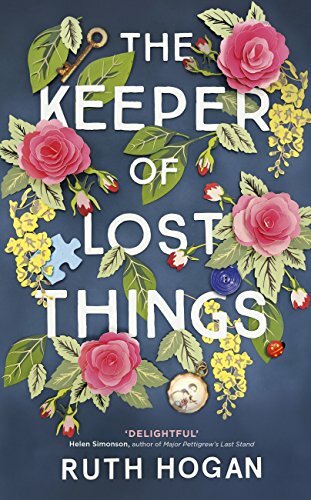 As her search takes her deeper into the heart of his family, Eliza begins to realise that she’s in danger of hurting those she cares about deeply. Is her quest worth it? And is the angel she’s seeking really the one she’s meant to find? It's a story of love, friendship, and new beginnings, of home and belonging, and finding out who you really are. Oh, and there are donkeys. And marshmallows! I always wanted to write, and really looked forward to English lessons at school. I was the annoying kid in the class, who actually wanted to write stories, poems and plays. In fact, I occasionally wrote my classmates' stories, too, if they couldn't be bothered. 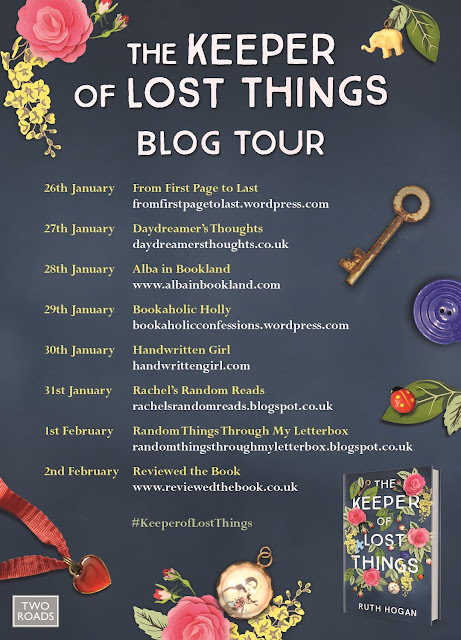 I more-or-less stopped writing anything when I had children, except shopping and to-do lists, sometimes managing a "Chapter One" but rarely getting beyond that point, before throwing the thing in the bin and giving up. One day some characters popped into my head and just wouldn't budge. 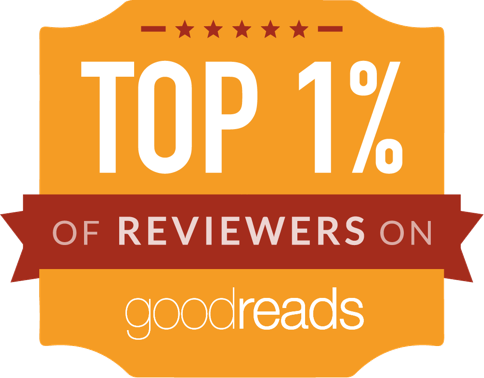 I had to tell their story, and I used NaNoWriMo as an incentive to make sure I finally finished my first novel. Well, the first draft took thirty days. Throughout November 2011 I wrote solidly, and finished NaNoWriMo with a manuscript of a hundred and twenty thousand words. Done, I thought triumphantly. Ha, how naïve I was! Little did I realise that the work was just beginning. I can't tell you how many changes I made to that first draft. I lost count. In all, I was editing and re-writing for well over two-and-a-half years. I don't think I'd change anything about how I went about writing it. It was incredibly frustrating at the time, and I can remember almost giving up on several occasions. It actually reduced me to tears! But, at the same time, I learnt so much from the process of pulling the thing together. I took advice from a creative writing tutor, and I submitted a draft to the Romantic Novelists' Association as part of its New Writers' Scheme, receiving a very encouraging and useful report, which helped me to understand where I was going wrong, and what I could do to improve the book. I also asked three other writers to read through it and give me their honest opinions, which they did. Their advice was invaluable, and it was wonderful to have people to discuss it with. All that writing, rewriting, chopping, changing and refining was a fantastic experience, and I'm glad it took me that long to feel happy with it. 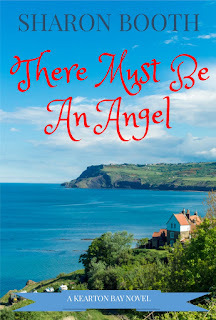 I read There Must Be an Angel a year ago, to get me back in the "Kearton Bay vibe" as I was about to start writing the third book in the series, and I will admit there were a few things I would change. I think it's inevitable that, as you get more experience, you see how you would improve your previous work. However, I wouldn't change the storyline, or the characters. I actually enjoyed reading it, so that must say something! Angel was self-published. I always wanted to self-publish, and intended that the whole time I was writing it. I was encouraged to seek a publisher, and did submit to half a dozen small publishing companies. Angel was being considered by one when I had an offer from a fellow writer, who was setting up an author co-operative, whereby several writers would publish under one imprint and we would pool resources, advice, and help each other with publicity etc, but keep our own profits. It seemed the ideal solution to me, so that's what happened. 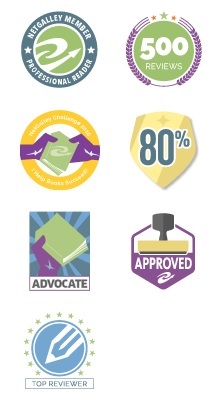 The situation with Fabrian Books has evolved since then, and continues to do so. We're now going in a different direction, so that will be interesting. I've also had a pocket novel published by People's Friend, and that's due to be published in large print by Ulverscroft in April, so it's been a nice balance. Write! Just keep writing, even when you want to give up. Get support and take as much advice as you can get from people who know. If you write romance, join the RNA's New Writers' Scheme. The joining fee is worth it for the critique alone. Writing is lonely, so make friends online with other writers. There's a massive writing community on Facebook and Twitter, and it's very welcoming. Read how-to books. Don't be in a rush to get published. Most of all, though, just keep going. If you really want to write, you will. I can't remember the first book I bought, though it was probably a pony book from WH Smith. I can remember the first book I was ever given, though. It was Noddy by Enid Blyton, and I still remember the wonder I felt when I unwrapped the present and held that book in my hands. Looking out of the dining room window into the garden and feeling sad. It was my third birthday. I can't remember why I was feeling sad. I just remember that feeling, and watching the rain pouring down. Probably Jimmy Osmond when I was nine years old! Primrose Valley on the North Yorkshire coast. A whole crowd of us went—Mum, Dad, me, my sister, possibly my brother (though I'm not sure if he was born then), Nanna, Grandad, auntie, great-aunties and great-uncles, and half-cousins. We stayed in caravans or bungalows, and we'd walk along the beach to Filey each night for fish and chips, and my Nanna and great-aunt took me and my sister winkle picking on Filey Brigg. Dad got sick eating too many winkles! Happy days. A diary from WeightWatchers in a raffle, unless you count merit badges and certificates that I got from primary school for being good. I was a very well-behaved child! The first albums I bought with my own money were for other people. The first one I remember buying was a Vera Lynn Christmas album for my mother, who pretended to be thrilled. I was persuaded by the shop assistant that it was the ideal Christmas present for her. Hmm. I think I was conned. My mum was only in her very early thirties at the time! The first album I remember having bought for me by my parents was Donny Osmond's Too Young. I can't remember the first album I bought for myself, but I suspect it was probably by Abba. You must be joking! Unless Cluedo counts as a sport. I did love watching show-jumping, though, and used to follow all the famous nineteen-seventies show-jumpers. Dad used to take me to the annual local show, where the likes of Harvey Smith would be competing. It was amazing. Anything horsy was thrilling. Netball and hockey meant nothing to me. Being told off in front of the whole class for going to get a toy from the cupboard in the classroom, and playing with it while the teacher was telling us a story. "This is story time, Sharon, not toy time," she said crossly, taking it from my hands. It must have been a very dreary story, because usually I preferred story time to anything! A Yorkshire terrier called Sooty. She was my best friend. Really. I remember all that teenage angst, and crying into her fur while I poured out all my troubles. She never tried to move away. She always listened. She died when I was fifteen and I was devastated. I still miss her. I can't actually remember, though knowing me, it was probably because I was late. I work for the NHS, but that wouldn't be my first choice. If I had my time over again, I would start writing seriously much earlier, but I'd also like to do something similar to my friend's work. 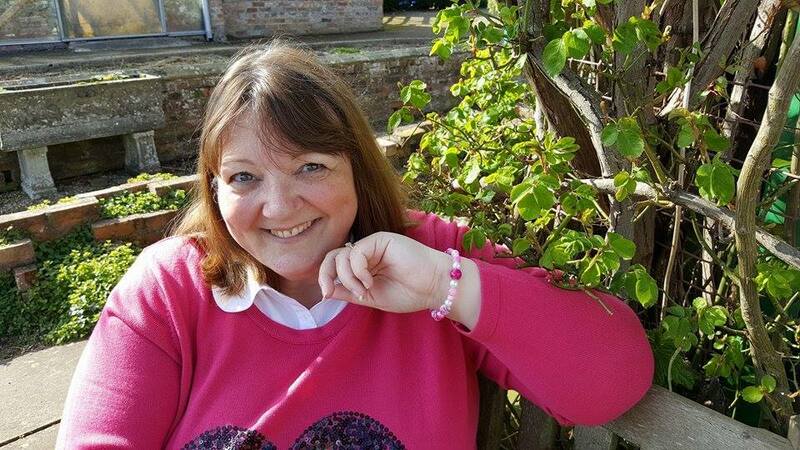 She teaches creative writing to people with depression and anxiety, and other mental health issues. The writing really helps them, and I'd love to have done something like that. Well, I left home at just sixteen, so I was pretty independent very early on. I remember, though, being allowed to go on the bus to my Nanna and Grandad's house all by myself. It was a thirty-minute bus ride, so I felt quite accomplished about that. Also, I remember being told that I was old enough to walk to school and back on my own for the first time. I was about five. That was quite scary. I wasn't sure if I could remember the way, but the sense of achievement when I did was exhilarating. A navy-blue Silver Cross twin pram, complete with two Tiny Tears dolls, dressed in red velvet coats and white tights. A Christmas present from my Nanna and Grandad. When I got double A for English on my school report. I usually only managed Bs or Cs for most subjects, so that was a real thrill, and the comments made me start to think maybe there was something I could actually do at last. I'm not sure, but I do remember the first Christmas dinner I cooked. I still remember the pink turkey legs. It's a wonder we survived. I was bullied at school by a girl in another class, when I was about eight. I didn't even know her, so I don't know why she decided to pick on me. She pushed me into a huge puddle after school, and I was dripping in mud and slime. My school project was completely ruined. My mum went into school the next day to see the headmaster, taking my mud-soaked clothes with her. I think I was more scared about her turning up and making a fuss than I was about being bullied! Thank you so much for that comprehensive interview, Sharon. I laughed at the album you bought your mum, I think you definitely were conned, and such a shame your earliest memory is being sad on your birthday. 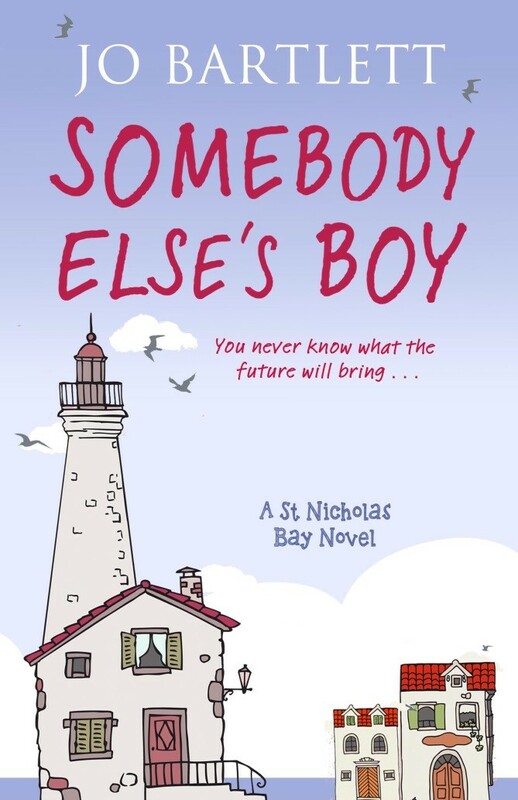 This week I am reviewing Somebody Else's Boy, which is the first of the St. Nicholas Bay series, and book two is already available. 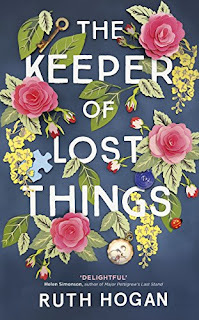 As Nancy and Jack become closer, not everyone is thrilled, in particular Toby’s grandmother, who can’t bear to see her late daughter ‘replaced’. When Fraser– the only man Nancy’s ever really loved – reappears, her living arrangements with Jack seem set for disaster. Logically the best place to start to talk about this book is with St. Nicholas Bay, which turns out is a fictional town in Kent. I say that because I was so convinced the town had to be real from the detailed descriptions of it, and its history, that I went onto google to find out more about it, especially since the town has connections with Dickens, but then discovered that apart from a hotel in Greece sharing the name, it really is a fictional setting. And what a setting it is, as has a real small, community minded, town feel to it, which is especially evidenced by the new theatre group , and their first production, the Cinderella pantomime that has been changed slightly to fit in with the towns connections to Charles Dickens. The theatre group has been started by best friends Nancy and Olivia, although after a very specific and hilarious incident, they aren't really best friends any more. In fact in a short space of time, Nancy has lost her best friend, and her fiancee, and needs to find somewhere else to live. Jack who edits the panto, is a single father to 9 month old Toby, who tragically has found himself widowed and has moved to St. Nicholas Bay, as a change of scenery. He comes to the rescue and offers Nancy a place to live, so long as she is ok to do some babysitting, while Jack is at work at his new job, teaching creative writing, at the same place Nancy works. There are some tough topics dealt with in a very realistic way, which include grief and moving on, and alzheimer's, as well as domestic abuse, but not in as much depth. With each new topic introduced into the story, I found myself enjoying it more and more, despite the not overly joyous nature of the conditions, because the writing was endearing me so much to the characters, they just gained new depths and felt more real with these obstacles to overcome. Yet with the seriousness of some of the book, there was also many humorous moments which kept the book on its toes, and pace moving along steadily. I loved Jack and Toby and would love to see more of them both. Toby is the most adorable baby, generally quite well behaved, and is very happy playing, or giving people he likes, big grins. Jack is of course grieving for Alice, has his mother-in-law's grief to handle too, and yet also feels guilty at how this life starts to turn out, especially with Nancy living with him, which in a purely platonic sense alleviates some loneliness. Somebody Else's Boy is an uplifting story, written in a style I enjoyed reading, and is a good mix of fun and more serious moments. Thank you to Jo Bartlett for this copy which I have reviewed honestly and voluntarily.